To investigate the effects of total workload and other work-related factors on postpartum depression in the first 6 months after childbirth, utilizing a hybrid model of health and workforce participation. We utilized data from the Maternal Postpartum Health Study collected in 2001 from a prospective cohort of 817 employed women who delivered in three community hospitals in Minnesota. Interviewers collected data at enrollment and 5 weeks, 11 weeks, and 6 months after childbirth. The Edinburgh Postnatal Depression Scale measured postpartum depression. Independent variables included total workload (paid and unpaid work), job flexibility, supervisor and coworker support, available social support, job satisfaction, infant sleep problems, infant irritable temperament, and breastfeeding. Total average daily workload increased from 14.4 h (6.8 h of paid work; 7.1% working at 5 weeks postpartum) to 15.0 h (7.9 h of paid work; 87% working at 6 months postpartum) over the 6 months. Fixed effects regression analyses showed worse depression scores were associated with higher total workload, lower job flexibility, lower social support, an infant with sleep problems, and breastfeeding. Working mothers of reproductive years may find the study results valuable as they consider merging their work and parenting roles after childbirth. Future studies should examine the specific mechanisms through which total workload affects postpartum depressive symptoms. 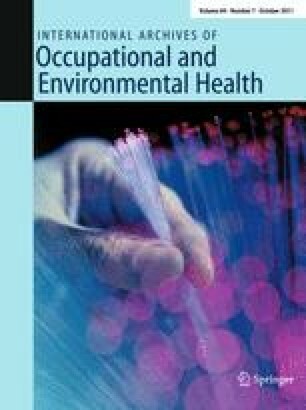 This paper was presented at The 4th ICOH-WOPS conference “The Changing World of Work” [organized under the umbrella of the Scientific Committee on Work Organization and Psychosocial Factors (WOPS) of the International Commission on Occupational Health (ICOH)], Amsterdam, The Netherlands, June 14–17, 2010, under the title “Total workload and maternal postpartum depression: A longitudinal analysis”.